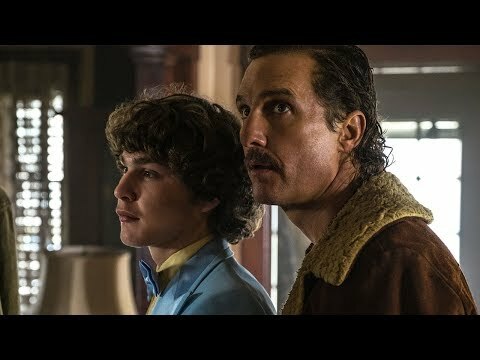 Set in 1980s Detroit at the height of the crack epidemic and the War on Drugs, WHITE BOY RICK is based on the moving true story of a blue-collar father, Richard Wershe Sr. (Matthew McConaughey), and his teenage son, Rick Wershe Jr. (Richie Merritt), who became an undercover police informant and later a drug dealer, before he was abandoned by his handlers and sentenced to life in prison. White Boy Rick was released on 135d ago in the UK and the US. Based on 18 White Boy Rick Cinema reviews, White Boy Rick gets an average Cinema review score of 63. The score for all versions is 63 based on a total of 18 reviews. Though it's a well-done family drama, “White Boy Rick” is a half-told story that only lightly incorporates the deeper issues of systemic injustice. Scuzzy and surprisingly unsympathetic, this true story of a 14-year-old recruited by authorities never quite makes the case for its drug-dealing subject’s innocence. The emotional crux of the movie is the relationship between the inept father and his hapless children. Yann Demange’s new film tells the true story of Rick Wershe Jr., a mid-’80s Detroit teenager who went from gun dealer to informant to drug dealer to inmate. By treating its main character as exceptional, the film validates the punitive system it seeks to criticize.